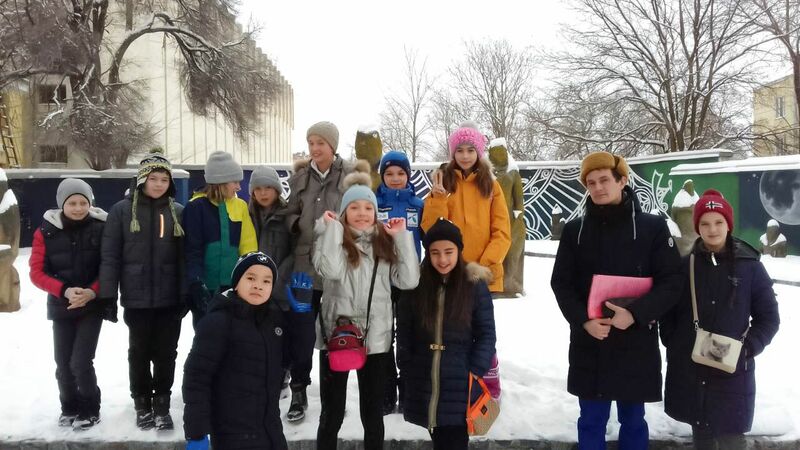 On January 23, Year 6 students visited the exhibition “Prehistorical society of our region” in the Dmitry Yavornytsky historical museum. The purpose of the visit was to check how children could match theoretical material with real historical artifacts. During the excursion children attentively listened to the guide and tried to explain ancient petroglyphs in the original burial place. Based on sectional model of the Scythian kurgan they suggested how the excavation could proceed and quickly identified the glorious Scythian pectoral. Grisha U. assisted the guide to explain the construction of ancient burial places. Masha B. had stopped for a while near the stand dedicated to the nomad armament, and impressed everyone with the remark: “How much the stirrup has evolved!” It appeared the girl was keen of horseback riding for some years. The visit was informative and enjoyable. It helped children to make friends and solidify what they had learned during the lessons.